It’s just 28 days until we depart for our epic C2C (coast to coast) journey. 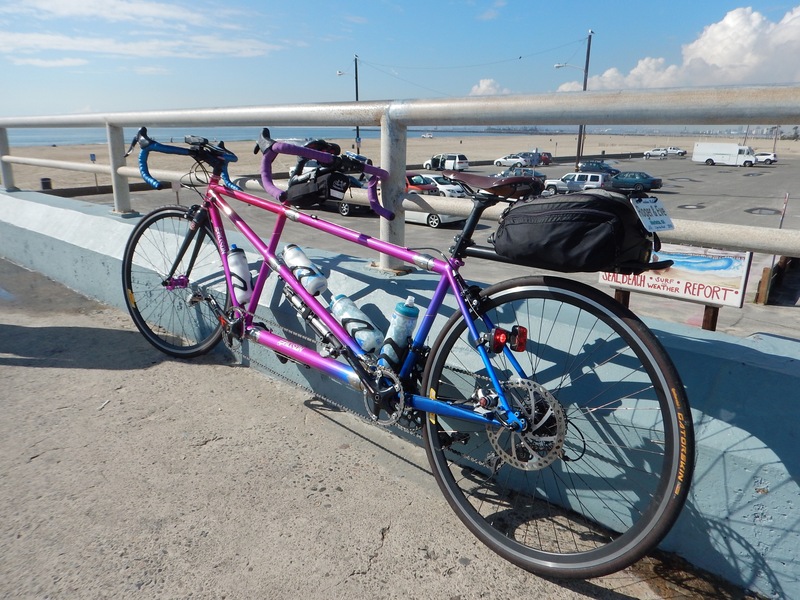 We’ll ride our tandem about 3000 miles, from San Diego to St. Augustine, and we are getting pretty excited. We’ve been planning for over a year, and training seriously for the last 6 months. Our Erickson has been completely overhauled and mostly rebuilt. We’ve also been amassing all of the items we will need for the journey. 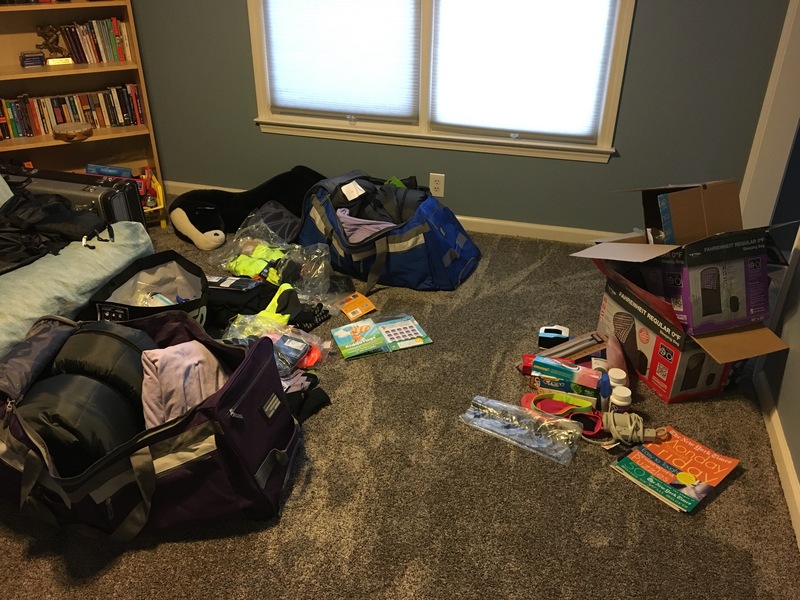 Camping (glamping, in this case) is new for us and we need a lot of stuff. We’ve been using our former playroom as our staging area for most of the “new toys” we need to bring. The actual riding and dipping of the back wheel of the tandem takes place on March 4th, and then we’ll be pedaling, eating and blogging our way across the USA! We hope you’ll join us and follow this blog (so each post will come into your email). I know that WordPress is sometimes cranky, and people have had a hard time following the blog. If this happens to you when you try to follow, please email me at eve.kofsky@icloud.com and we’ll “invite” you to join. This generates an email to you, and you just confirm you want to follow us. In a week we’ll leave for Florida to do some visiting, and another 11 days of (warmer) riding every day. I’ll probably post an update, and share the photos after the trip. Thanks so much for letting me live vicariously through you guys. I am looking forward to hearing every detail as I sit at my desk wishing I were there. Eve and Roger!! So excited about your trip. Wow. It’s a long long way. Will be so fun!!! Moving into my new place tomorrow so will keep you posted on my new life. I’m excited for you guys and will watch from afar… Youngstown is about as afar as it gets. Hope your route takes you far enough north of the new wall (thanks Mexico for picking up the tab on that). How’s Roger going to carry his bass? I’ll be watching with great interest. No need to wish you luck, but I’ll extend my admiration instead. We are 2012 “Coasters” Tom and Toni (TnT) from Michigan. Will look forward to your posts. Enjoy! Crossword puzzle book … check. Black and white stuffed animal that might be a llama … check. Y’all are in awesome condition for this adventure. So happy for y’all.